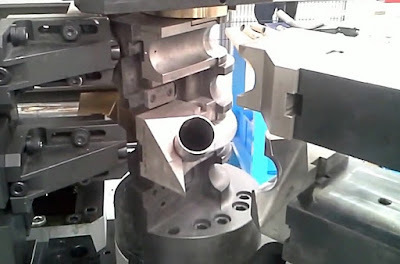 Besides all different principles of tube bending the execution of special tools is real “state of art”. What is the necessity? Some tubes, in particular in automotive industry require not the standard principle of tube bending performed by tube bending machine as “bend – straight part in min. length as straight part of the clamps – second bend…” Some tubes have no any straight part so the area of this bending is named as “bend in bend”. 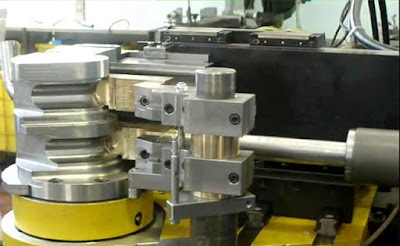 It is quite impossible to perform this technology with standard tube bending tools and mandrel tube bending machine – there are no possibility of clamping! The solution could be only to manufacture the special tools for the required part where the clamps duplicate the first bend in the groove to make the second one. 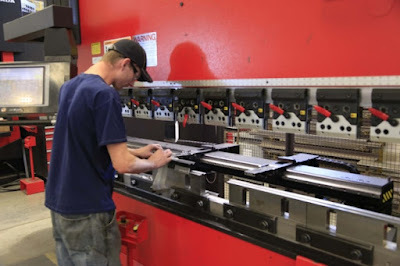 Tooling to make these parts is really expensive so this is the big question for investments but there is no other way to do the part without the special tools.